Swages: 1/4", 5/16", 3/8", 1/2", 5/8"
- For 3/16″, 1/4″, 5/16″, 1/2″ & 5/8″ O.D. - A Quality product from Rex, Japan. BTR Can undertake tolls such as Coax Dies, Curl Dies, Punch supports and manufacturing and kind of Metal forming Dies for Heading, Swaging, Extrusion and Tools required for cage Blanking in Bearing Industries and Wear Parts such as Pusher Tips, Wigglers, Guides, Nozzles etc. 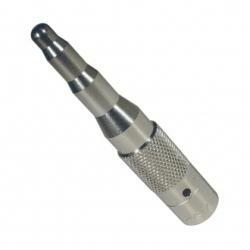 as per Customer’s Specific Requirements. 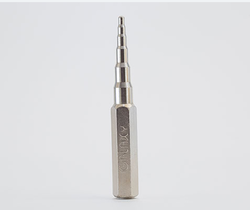 Specifications :-Swages : 1/4", 5/16", 3/8", 1/2", 5/8"
Since our inception, we are biggest name in the market offering Swaging Punches that are used for flanging, beading, curling, swigging, burying and closing of wires. CT-93-12 - Individual Punch for 3/4"
CT-93-14 - Individual Punch for 7/8"